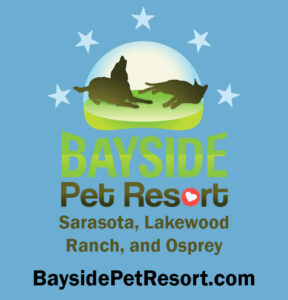 When you advertise SarasotaDog.com you will be reaching our loyal following of dog lovers. From downtown dogs to those out East, and down to Venice, Suncoast dog lovers are following the news and events on SarasotaDog.com. Because this web site is dedicated specifically to dog news – you’ll have no wasted impressions or dollars, its safe to say that all of visitors on SarasotaDog.com, either have a dog, are thinking of adopting a dog or are very close to someone with four legs. 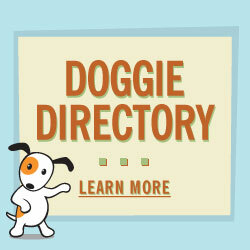 So when you advertise, you will be reaching your target audience – the dog owner. 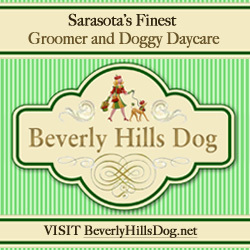 Advertising in the Doggie Directory on SarasotaDog.com is easy and economical. Just $25.00 per month (with a three month minimum). No web site? No problem! We’ll create a page for you on SarasotaDog which you can use to promote your business, with pictures, testimonials. You can use the link to your page in on your business cards or within any other advertising that you have planned. Other customized advertising for display ads and promotional packages are available to local pet businesses and companies with a message for dog lovers. Need help planning an event? Our team has planned events for clients like Kraft Foods, IBM, Hewlett-Packard at venues like the United Nations in NYC and the Dallas Cowboy Stadium in Texas. On a local level, we’ve been involved with lots of fundraisers and parties for rescues and for profit businesses. Want to talk with someone we’ve worked with? Sure! Just give us a call and we’ll guide you to the right person. Please call our office at 941-228-4061 for more details, or drop us a note at MaryLou@SarasotaDog.com.